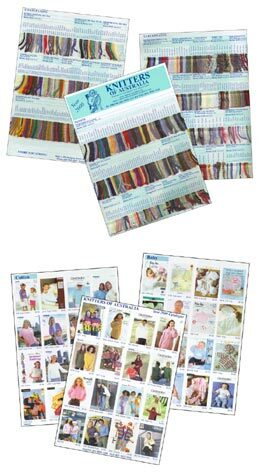 Full colour, 16 page Pattern Catalogue with over 450 exciting patterns, plus over 600 yarn samples. MEMBERSHIP Available $15.00 Membership offers great discounts on all yarns. 500 samples of beautiful yarn.